Sp. Pl., ed. 2. 632 1762. 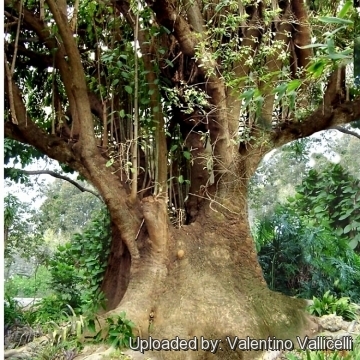 It is a remarkable South American caudiciform tree capable of attaining heights of 20 metres and a spread of 30 metres. 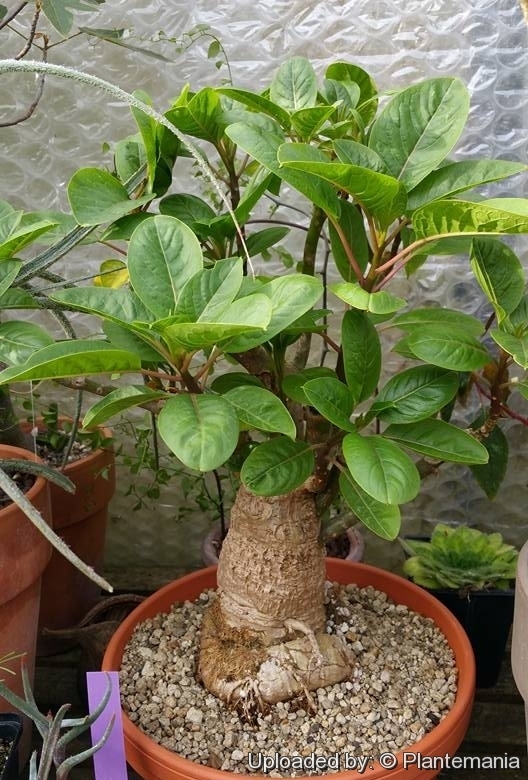 The most spectacular of characteristic of these trees is their trunk (caudex), thick and irregular at the base. 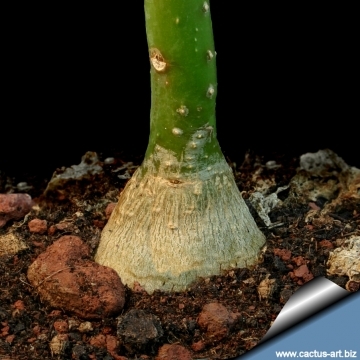 The trunk and root base of the adult plant expands in a monstrous fashion. 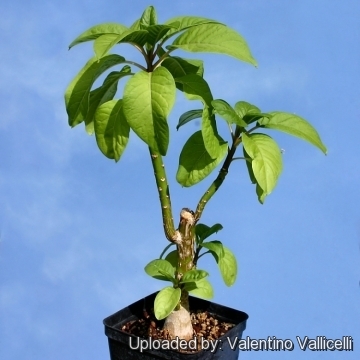 Description: Phytolacca dioica is a fast growing tree that can attain heights of 20 metres and a spread of 30 metres (but usually doesn’t’ grow over 10 m in height), and trunks of mature trees are massive. These trees in tropical areas are appreciated for the shade they provide. The trunk base of the older plants is broad and twisted, with thick roots that emerge. These are very forceful and can easily lift up any type of structure. 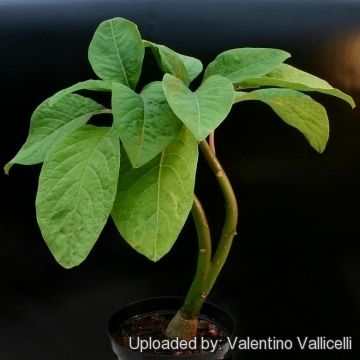 Stem: It has a wide trunk (up to 7 meters) the branches contain as much as 80 percent water and very little wood tissue. Height: 14,5 meters or more. Leaves: The foliage is evergreen to semi-decidious, only falling if the winter is rather harsh. Leaves are ovate, obovate, elliptic to lanceolate, and have a large petiole. They are simple with an entire margin, some 6 to 12 cm in length, and slightly lustrous on one side. They are alternate in position. 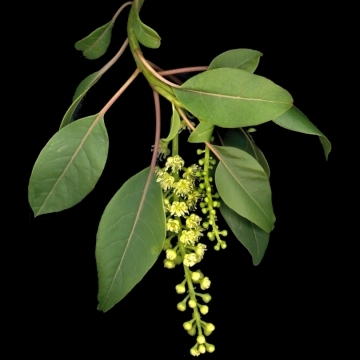 Flower: Not very showy, cream or whitish-green, attached to hanging, somewhat pendulous, spicules that are almost as long as the leaves, and are dioecious. Fruit: Fleshy, purple-black in colour. 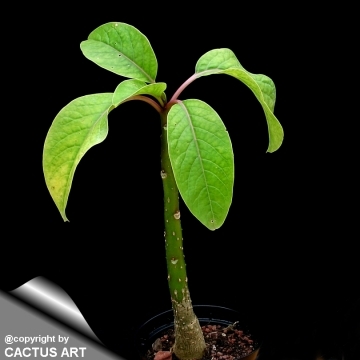 Cultivation and Propagation: An easily grown plant, succeeding in most soils, though preferring a moisture retentive fertile soil in full sun or partial shade. Pot-plants grows best in rich peat with lots of water from march to October, and lots of sun. This species is tolerant to temperatures down to between -5 and -10°. The young growth in spring can be damaged by late frosts. Reproduction: It can both be reproduced by seeds and division. Seed: Sow autumn or spring in a cold frame, When they are large enough to handle, prick the seedlings out into individual pots and grow them on in the greenhouse for their first winter. Plant them out into their permanent positions in late spring or early summer, after the last expected frosts. It might be worthwhile trying an outdoor sowing in a seed bed in early spring. Grow the plants in the seedbed for their first year, and plant them out the following spring. Division: Use a sharp knife to divide the rootstock in March or October, making sure that each section has at least one growth bud. Very easy, larger divisions can be planted out directly into their permanent positions. Remarks: The leaves are poisonous. They are said to be all right to eat when young, the toxins developing as they grow older. Other parts of the plant, including the fruit, are likely to be poisonous. Edible Uses: (Some caution is advised): Young leaves and shoots - cooked and used as a vegetable . 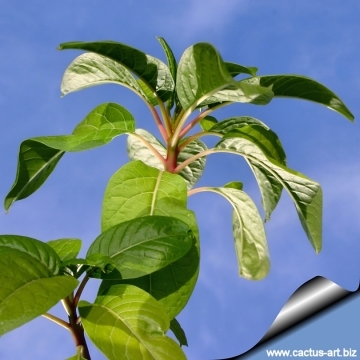 The leaves should not be eaten raw, and only the young leaves should be used, because they become toxic with age. The fruits are made into jellies or jams and are also used as a red colouring for food. Other Uses: A red ink is obtained from the fruit.